With great power comes great responsibility . . .
Reading about Neoliberalism has been delightful so far, as it’s given me language for so many of my experiences. It’s also terrifying, because it doesn’t just articulate a theory, it explains everyday life. “In the asymmetrical scale politics of neoliberalism, local institutions and actors were being given responsibility without power, while international institutions and actors were gaining power without responsibility; a form of regulatory dumping was occurring at the local scale, while macrorule regimes were being remade in regressive and marketized ways” (Peck and Tickell, 386). Peck and Tickell are explaining the rise of neoliberalism and its global reach, but what I find so striking is the way such an asymmetrical scale proliferates throughout local, national, transnational structures. Within the university, for instance, individuals have less and less power, more and more labor. Or, within schemes of ‘progress’ and ‘improvement’ (think Teach for America), the individuals participating only benefit to the extent that they buy into the institutions’ overarching power (here the institution does not mean the local school where they work) in ways that make up for their individual powerlessness. And, despite the fact that most people are quite aware of the way that power works in a neoliberal regime (we fulfill our responsibilities, we accept our powerlessness or fight for meaningless forms for power), we don’t always try to represent what such power looks like or feels like. There’s a reason why Spiderman says, “With great power comes great responsibility” – we want to believe that the institutions, structures, and people with power also have responsibility. The reality that’s so hard to swallow is that they don’t – not necessarily because of individual stances, decisions, etc – but because of structural conditions. Universities, here, are not a site of “modern innovation,” they are threatened by it. Today, in a moment of much literal and metaphoric violence against the university, such a conservative assertion could perhaps be useful. For we so often claim the university in the name of the future (for good reasons, of course), but we forget that the university also connects us to both important and problematic pasts. Such a passage also reveals the difference of our historical moment: we no longer have faith that universities will persist – that they cannot be easily overturned, or adapted. But in thinking them frail (which they are, of course) we forget the ways that they have endured, not simply as bastions of learning, but also as relics. To argue for the importance of the university today, we have to recognize its contradictory position – how it aims to advance learning and knowledge but perpetuates old forms of power (class-based hierarchies, ‘manliness,’ nationalism, whiteness). I’m more and more interested in theories of radical democracy because I think they do a good job of revealing the ways that structure and space matter, but also thinking that the answer (emancipation!) does not necessarily lie in either structure or space. They also show how everything is political – EVERYTHING – without necessarily resolving the politics into a single form or project. The problem of seeing anachronism as a “structural inconsistency” that opens up “undecidability” is to forget the question of visibility that she points to later in the essay. For anachronisms are not always – I would even suggest not usually – visible because they are so often implicit in the hegemonic structure. 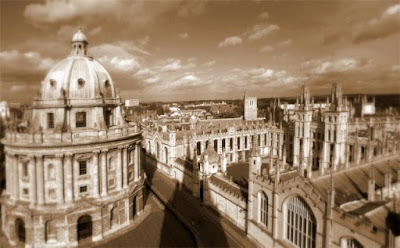 It is for this reason that Dickens has no problem calling the Jewish Riah “a ghost of another time,” the English had no difficulty suggesting that the Irish were in need of education and development. Within the structure of modernization and empire, there are always ‘premodern’ people seen as such precisely because modernity has define itself against its anachronistic others. But this form of anachronism only becomes inconsistent when you see it as disrupting and disturbing the structure of modernity, rather than a product of this very structure. Which is all to say, that we think in terms of anachronism to make one version of the social (in this case, the modern, the empire) cohere, but anachronism is also the very thing that can disrupt this coherence. Visibility matters, especially because we only see anachronisms anachronistically. Newman is such a strange, interesting thinker (and person). 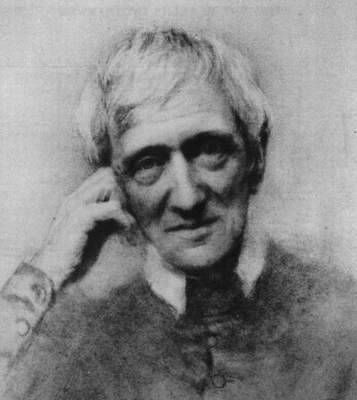 At a time of growing secularism, when history and historicism was acquiring a force of its own (“the spirit of the age is a novel expression, JS Mill said), Newman legitimated history’s force towards profoundly religious ends. Newman explains his own conversion as much of a historicist conviction as a religious belief. He concluded that the Protestant church was not historically continuous, – it was new, an offshoot of a more continuous, more historical, and thereby more ‘true’ church. If he believed in history, he must be a Catholic. And so he was one/became one (tenses are constantly confused in his story of his life). I am attracted to Newman because of his contradictions, and my own contradictory desires and beliefs. Because, if he is an extremely conservative thinker (belief, manliness, tradition rule supreme), his thoughts on habit, in particular, really radicalize one’s conception of everyday life. For him, both belief and knowledge are habits. Not something you learn or practice while in school, at mass, but something that you institutionalize and embody so that the shape one’s very conception of the world (no surprise that Viswanathan has an entire chapter on Newman in Outside the Fold – his belief is world-constituting and then some). His emphasis on habit reminds me that realism doesn’t just create a world through structures (narrative and otherwise) but by depicting the everyday, the ‘particular’ habits of specific characters. And we do not need to change structures to change the ways we apprehend the world, we merely need to change our habits. What we believe, what we know is not what we outwardly dedicate our labour towards, what we attend to, but what we inwardly give time to, what we take for granted. Of course, I disagree with the attributes he suggests (who says knowledge leads to “calmness” or “moderation”? ), but I do think that a student’s university education should change his/her habits, should shape his/her mind in ways that not only affect how they read texts, but how they apprehend the world. A cynical person would say that habit is just another word for ideology – and, in some instances, I might agree – but habit is also more than ideology. Because, if one nurtures a habit of mind that privileges and prioritizes knowledge, one will be led into all kinds of contradictions (just like Newman!). One will also see how tenuous Newman’s own resolutions are – even in habitualizing an openness to the unknown, an openness to a historical world stabilizes forms and thoughts that are otherwise in flux.